Kids are lot of fun to watch and play as long as they don’t start crying. Once they start crying it’s tough job for parents to calm them down and for people around it’s painful to be part of it. If it happens to be on a flight, it’s a biggest annoyance one can ever experience. Especially on long journey over night flights, it’s a nightmare for passengers if couple of kids are uncontrollable. 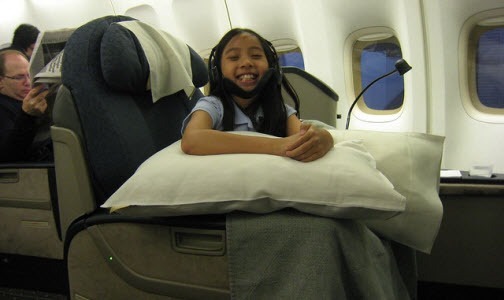 After receiving many complaints from its passengers who are disturbed by kids in flight, Malaysian Airlines decided to ban kids under 12 in their regular Economy class cabins of new Airbus A380s. Parents with under 12 years old kids are allowed only in to special kids zone created in the basement of the multi-storied jumbo flights Airbus A380s. May be parents with under 12 kids does not appreciate this move, but the rest of travellers would be happy. Back in June 2011 Malaysian Airlines banned infants in first class of its Boeing 747-400 jets. The CEO of Malaysian Airlines defended on twitter about the decision as first classers spend pricy amount for a comfortable journey. So if you are a parent of kids under 12, think twice before you book tickets on Malaysian Airlines.